I'm both the new member admin and the message board admin. 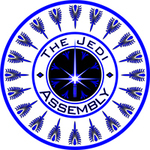 When I approve a new costumed member on the website, I want to come here to change their status from "message board member" to "Jedi", which indicates they are now a full member of TJA. However, sometimes the member's chosen Jedi name is not the same as their message board name. So please let me know if your status needs changing. Just either pm me or reply here. If they are different, I'll need both your Jedi name on the website and your message board name here. Reminder.... this is the place to request status changes. Hi, been away for some time. Guess I need my status change. You should be all set now! You should be able to access all areas of the Board including merchandise and event planning! I need status changed. My Jedi name and forum name are the same. ?Before the dark times... before the Empire.? I just noticed, I need my status changed from "Message Board Member" to Jedi. Sorry....didn't even notice it hadn't changed. "Once those droids take control of the surface, they'll take control of you." Sometimes you have to remind us. I'll make sure it gets fixed. I am here to tell you that I am Jedi and my website name is Anet-Tra Kenobi and here on the forum I am known as oklahomajedi. You are now a Jedi on here! Welcome! I also need my status changed as I just joined! My jedi name and forum name are the same. "Great Warrior? Wars not make one great."